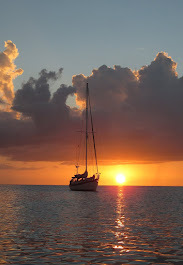 Our overnight passages began with open seas, solitude and sunsets like this. Much has happened since our last posting. In the Bahamas for about 2 months we found that we had such a busy social life that we just had little time (and access to internet) to post. We had many adventures and will attempt to catch up on many of them over the next several days in separate postings. Little sailors in little boats in the anchorage in Charleston harbor. 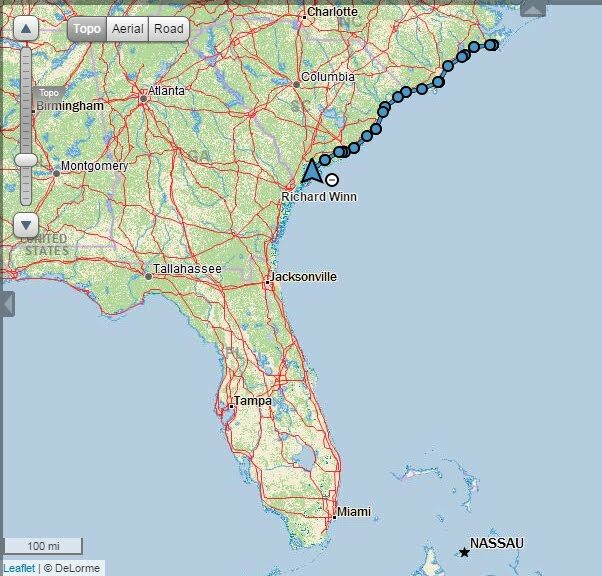 As a quick review we are now in Charleston, South Carolina after making a two night passage from St. Augustine, about 200 miles. It was a great trip with nice weather and winds sufficient for sailing and catching a couple of fish while underway. 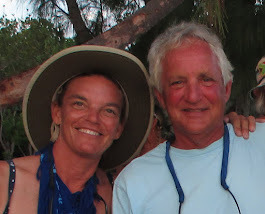 We left Great Sale Cay in the Bahamas about two weeks ago accompanied by our friends Tony and Robyn on their catamaran, Alleycat Too. The passage to St. Augustine included a two night run under moonlit skies. A mahi mahi caught while underway on the passage from St. Augustine to Charleston. There is no way we can begin to summarize quickly our stay in the Abacos...just too much to tell. Check out our travels on the InReach satellite tracking above until we post more.